Are you ready? It’s coming — just around the bend. In fact, Chanukah has already passed and I barely got a chance to wish Happy Chanukah between turkey drumsticks, but I’m not missing wishing all of you — no matter the holiday — the best of the season and the happiest of new years! Candice Gilmer’s novel, Mission of Christmas, , it’s one of my absolute Christmas favs. I know you’ll love it! What could be better than a Southern Christmas in a small town? How about a new Mary Kay Andrews Christmas story? With familiar characters, that seem like your own best friends, Christmas Bliss celebrates Mary Kay Andrews’s own favorite pastime-antiquing, weddings, and family. On the road to Bath, a kindhearted young man encounters a young lady in a hurry. Together they journey to an unintended destination – and share an unforgettable Christmas Eve. 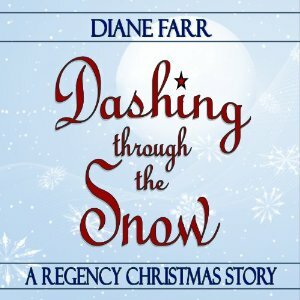 A Regency Christmas story. And it’s now available on audio. It’s wonderful when you can hear the author read the story — the meaning of each sentence is crystal clear and Diane has a beautiful voice, too! 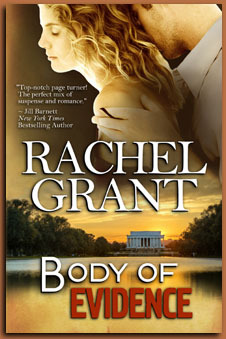 DEA agent Nick Morgan had no choice but to break up with the love of his life, Heather Bannon. He knew that if he was seen anywhere near the gorgeous P.I., he could kiss his career goodbye. 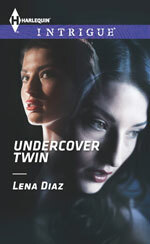 But when Heather’s twin is abducted, Nick reconsiders his priorities. behind ballroom doors. He is content with the simple life—and isn’t ashamed to admit it to a society flirt like Lady Isabella. But the country air brings out a different side of Isabella—one full of longing and passion. Can her sophistication be hiding a desire for love? When a blackmailer from the city arrives to threaten Isabella, Trevor will shield her from harm—even travel to London. Can the duke tackle the ton on Isabella’s behalf …and manage to keep her all to himself? Rough-and-tumble Saturday Woodcutter thinks she’s the only one of her sisters without any magic—until the day she accidentally conjures an ocean in the backyard. With her sword in tow, Saturday sets sail on a pirate ship, only to find herself kidnapped and whisked off to the top of the world. Is Saturday powerful enough to kill the mountain witch who holds her captive and save the world from sure destruction? And, as she wonders grumpily, “Did romance have to be part of the adventure?” As inEnchanted, readers will revel in the fragments of fairy tales that embellish this action-packed story of adventure and, yes, romance. 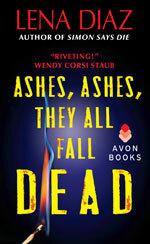 Carlene Love Flores has great books out, too! Her latest, Sin’s Haven is steamy and will warm you up on a cold winter night! Hazel Temple, bagel mistress by day and club hostess by night, feels horrible for inadvertently playing a part in Ben’s embarrassment and vows to make it up to him—by telling him they had a sizzling hot one-night stand. Still recovering from losing her fiancé to suicide, she worries about Ben when he discovers her lie. Is she bound to hurt the men she cares about? Well, that’s today’s list. There are so many other great books out there — and I’ll get to them eventually. In the meantime, Enjoy! And Happy Holidays! Merry Christmas! and Happy New Year! Yay! I love that one, Alethea. Where, oh, where is Judith McNaught??? I miss her books! Thanks for the recs, Diana! 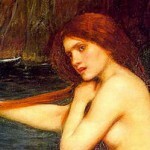 Looks like a great list — especially the ones from our very own mermaids. Happy holidays! Thanks for giving me a heads-up on great reading material for the holidays. After some revisions, I’m taking a much-needed writing break, and I need some good books to read. Aww, Diana! 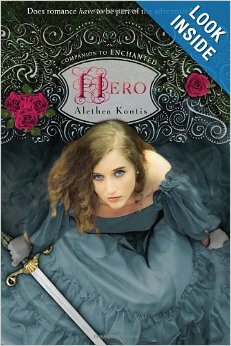 What a surprise to see you included Alethea and me on your list! Big smiles over here. Thank you, friend. I actually am getting ready to download that first one on your list, Mission of Christmas, by Candice Gilmer, now that I’ve read your recommendation and the blurb. It sounds soooo good. I love friends to lovers stories. Thanks so much for sharing. Oh, and I just read a really cool Christmas themed romance called Oh Christmas Tree by SJ Thomas. It’s about a Scottish tree spirit who is cursed into a Christmas tree. I loved it!